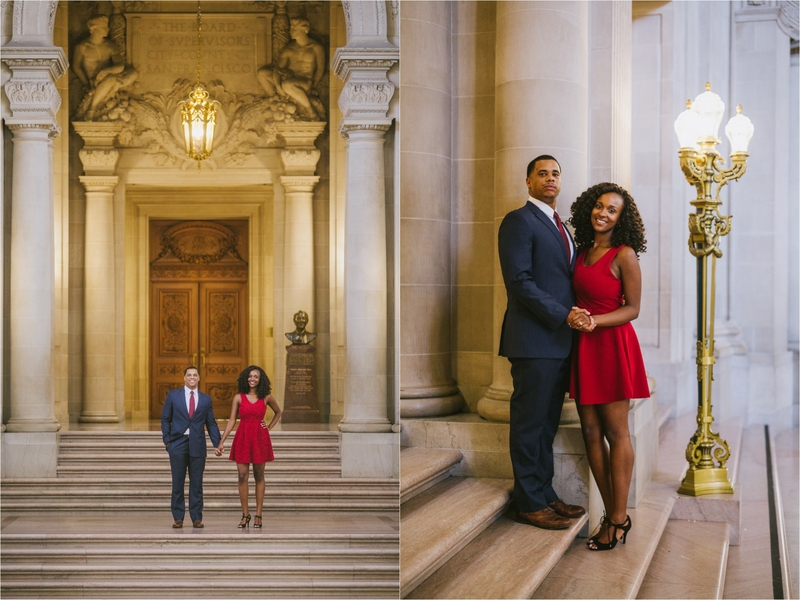 Last month I had the opportunity to head up to San Francisco to photograph an engagement photo session which ended with us finishing up in one of my dream locations: San Francisco City Hall ! San Francisco is such an enchanting city. I, for one, am SO in love with it. 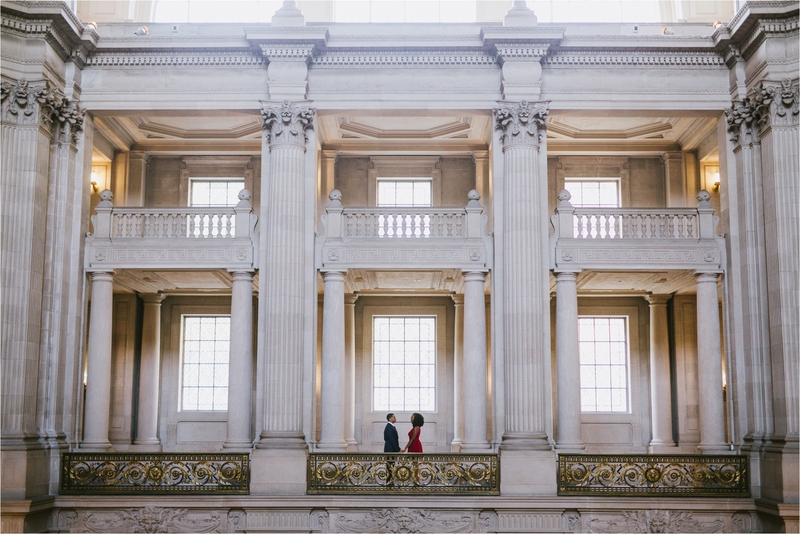 When Spencer and Meagan contacted me to photograph their engagement photos, I was so on board. 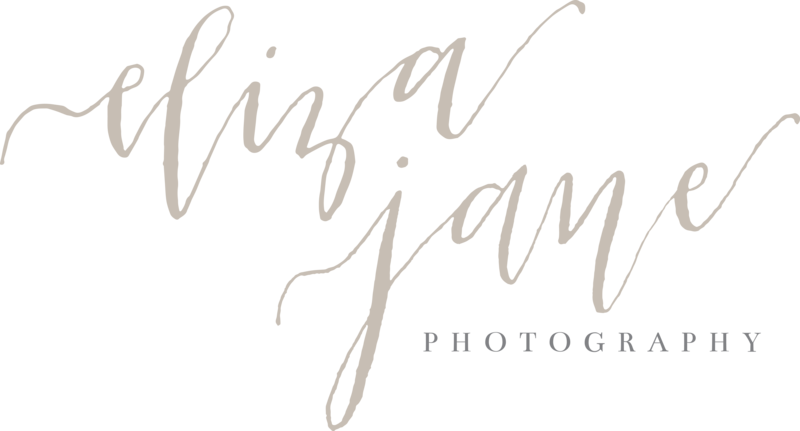 It was such a pleasure to meet and photograph them. Spencer and Meagan met in high school. 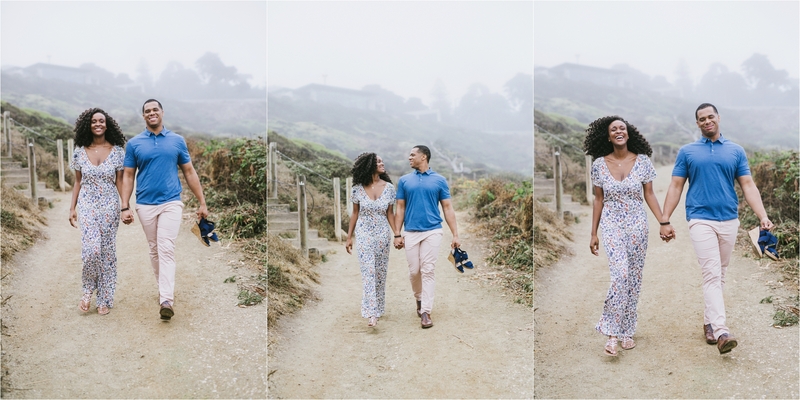 After a few encounters and then reconnecting in college, they have been together ever since. The love they have for one another is undeniable and it was so wonderful to witness and photograph. 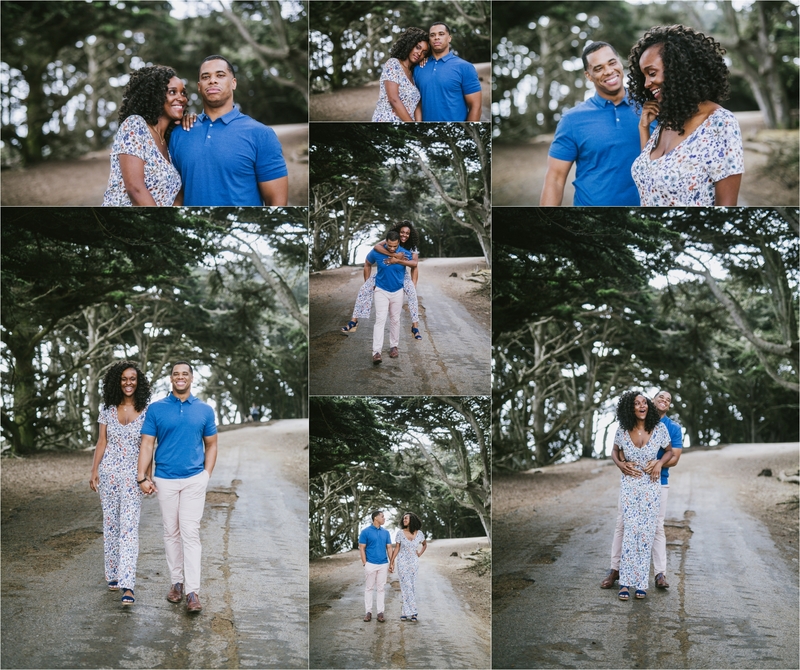 Spencer and Meagan are such a gorgeous couple and they made my job of photographing them super, super easy. 🙂 They are getting married in October 2019 and I know they are counting down the days! 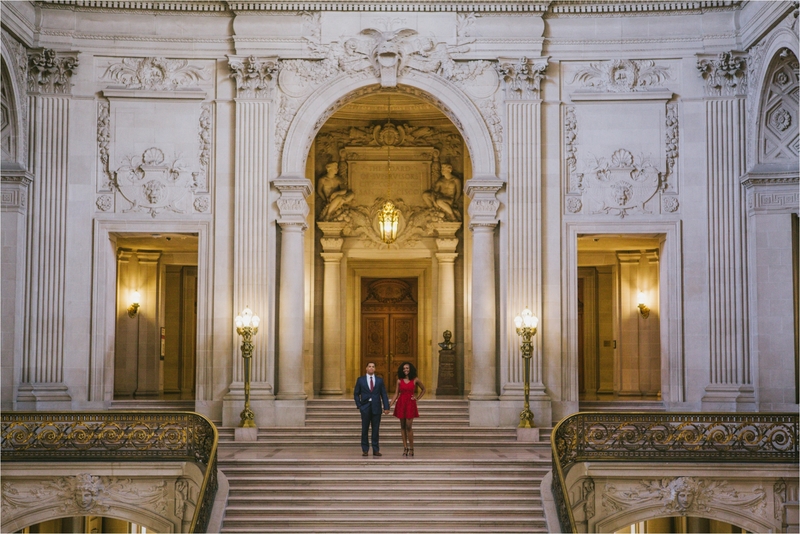 We started off our engagement session day at the beautiful Palace of the Fine Arts, just a stone’s throw away from the Golden Gate Bridge. 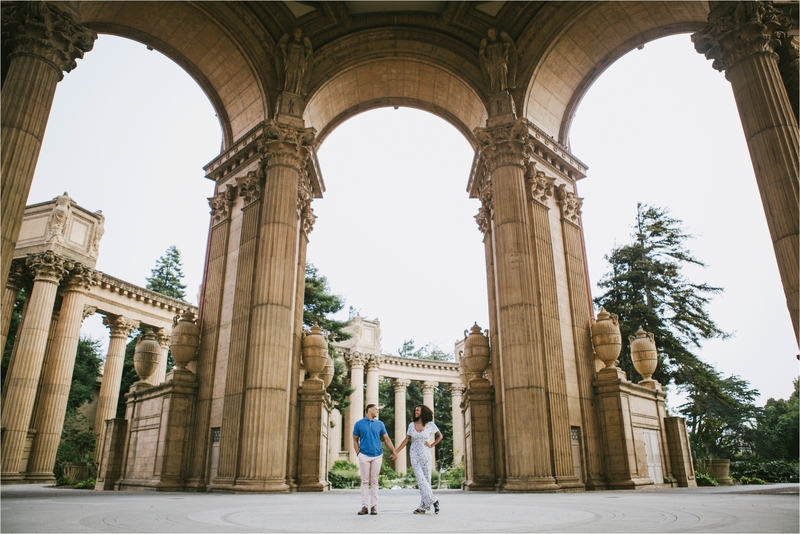 The Palace of Fine Arts is such a beautiful location with its many columns, streams, and the vaulted dome in the center of the area–it’s a photographer’s dream! 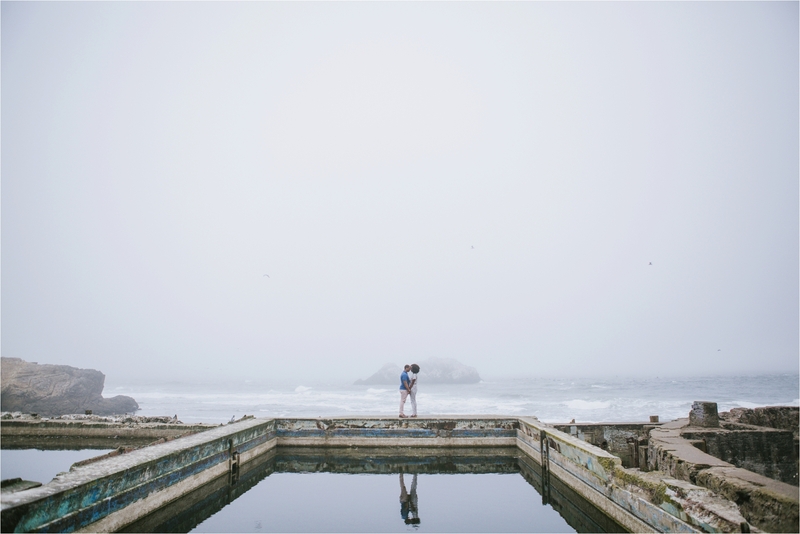 After leaving Palace of Fine Arts, we headed over to the Sutro Baths and then over to Fort Funston. 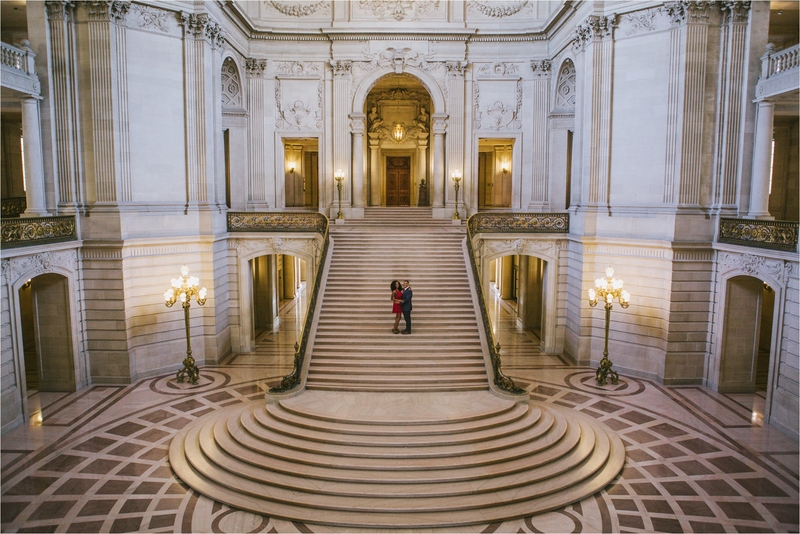 And then we ended at the San Francisco City Hall. We were so lucky that we had about a 5-7 minute window where there was no one walking through the foyer. This was such a magical day and I had a blast!